Is it possible to start afresh when you're thoroughly weighted down? Seventeen pounds. Thats the difference between Abigail Walker and Kristen Gorzca. Between chubby and slim, between teased and taunting. Abby is fine with her body and sick of seventeen pounds making her miserable, so she speaks out against Kristen and her groupies - and becomes officially unpopular. Embracing her new status, Abby heads to an abandoned lot across the street and crosses an unfamiliar stream that leads her to a boy who's as different as they come. Anders is homeschooled, and while he's worried that Abbys former friends are out to get her, hes even more worried about his dad, a war veteran home from Afghanistan who is dangerously disillusioned with life. But if his dad can finish his poem about the expedition of Lewis and Clark, if he can effectively imagine what it is to experience freshness and innocence, maybe he will be okay. As Abby dives into the unexpected role as research assistant, she just as unexpectedly discovers that by helping someone else find hope in the world, there is plenty there for herself, as well. abby was trying to feel brave, but feeling brave was not something she was good at. In fact, she was chicken. A coward. A natural-born conflict avoider. And she was doomed. Whatever happened next, it would not be good, and her day, which had been completely rotten so far, would only get worse. There was no way around it, though. She knew Kristen would hear about what happened in language arts. Myla was in Abby's class; so was Casey. They were part of Kristen and Georgia's group, and they'd tell faster than milk spilling from a knocked-over glass. She wondered if Kristen would use it against her right away ("Hey, Tubbyoh, I'm just teasing! Take a joke!") or if she would bring it out later for maximum hurtage. Ever since Claudia had moved and Abby had taken refuge on the fringes of Kristen's group, she had learned how Kristen worked. Sometimes Abby was in with Kristen, sometimes she was out. The result is a multi-layered examination of friendship, self-esteem, and the pathways to a happy, hopeful life. As Wendell Berry states: practice resurrection. Walk an extra mile. Walk in a different direction. Walk too much, too far, for too long. Because somewhere inside those journeys is the exact place where you might finally find your true self. (Reviewed by Tamara Smith). Starred Review. Middle school mean girls are not uncommon, in fiction or in life, but seldom has an author so successfully defeated them without leaving her protagonist or her reader feeling a little bit mean herself. Ages 9-12. Starred Review. Dowell (Ten Miles Past Normal) creates a sympathetic and honest heroine with a flair for drama, humor, and creativity, and she resists a tidy ending in a novel that feels both timeless and entirely of-the-moment. Starred Review. Dowell masterfully handles the hot button topic of bullying and will have readers contemplating the pettiness and self-loathing that supports it.,,,A timely and heartening book for today’s middle schoolers. It is an ideal book for 6th and 5th graders cause it has good descriptions and figures of speech. My opinion of the book. I loved this book. But it was kinda sad because people judged her on how much she weighed. But the ending was happy. 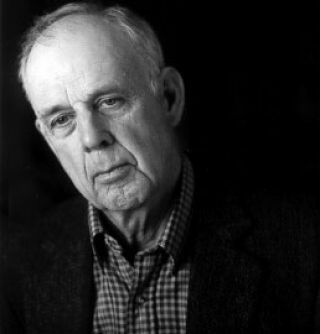 Wendell Berry is a writer of fiction, non-fiction, poetry and editorial, as well as a cultural critic and a farmer. Frances O'Roark Dowell's The Second Life of Abigail Walker begins with an epitaph taken from one of his poems. Berry lives in north central Kentucky on a 125-acre farm called Lane's Landing. The intersection of humanity and landscape, the conviction that human beings must learn to live in harmony with the organic rhythms of the land, is at the center of his life's work. He specifically believes the answers lie in local connections, in people understanding and relating to the land that is directly under their feet.